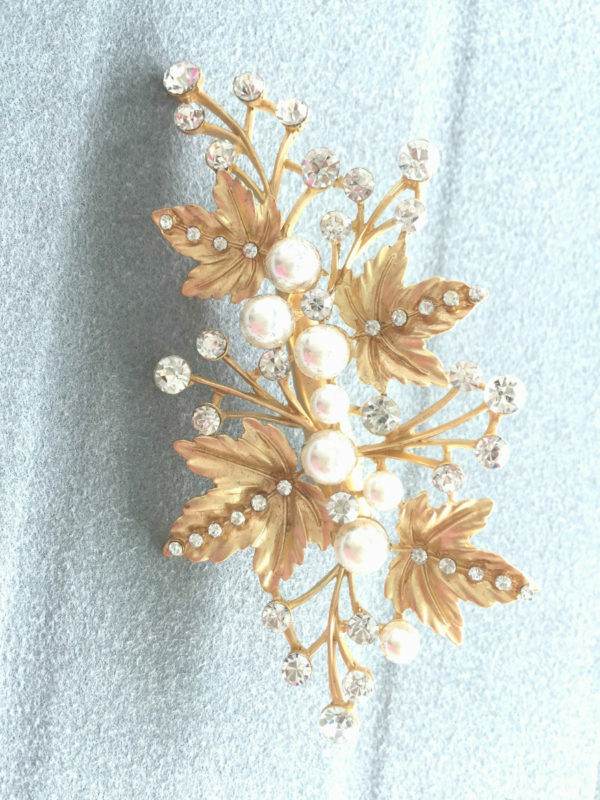 Tags: bridal hair accessory, crystal, gold leaf, hair clip, pearls. Our Camilla bridal hair clip accessorizes perfectly for the bride who loves gold embellishments. 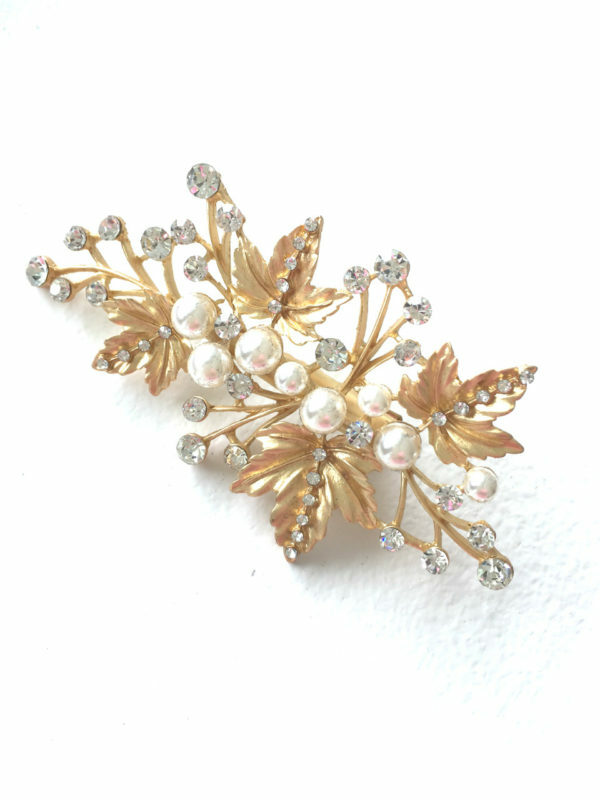 This pretty hair clip is adorned with gold leaves, dotted with tiny crystals and pearls to give that bridal hairdo an earthy finish whether it’s for a bride celebrating her nuptials at her afternoon garden wedding or a lavish Romanesque wedding bash. Clip is approximately 3 inches in length.